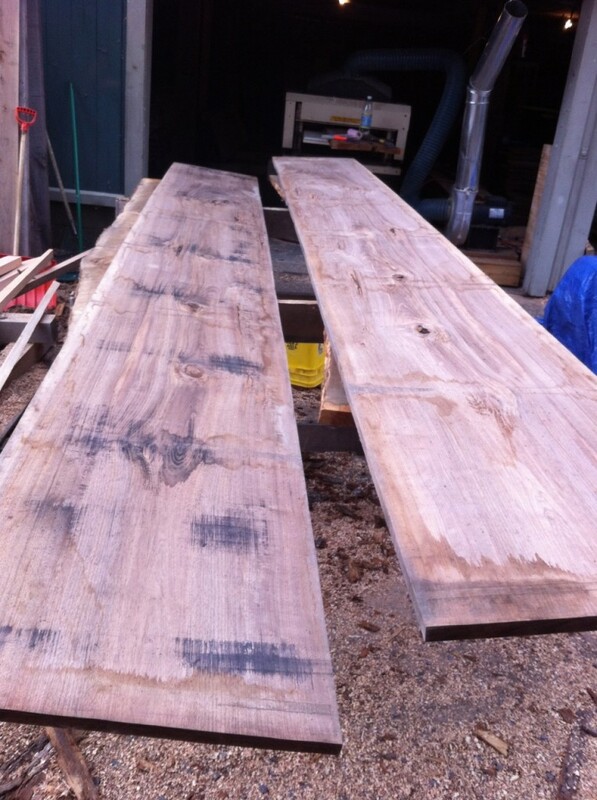 Today I went to Artisan Lumber to look for some wood that would match my table design. Obviously I was mainly looking for material for the top, legs and stretcher. 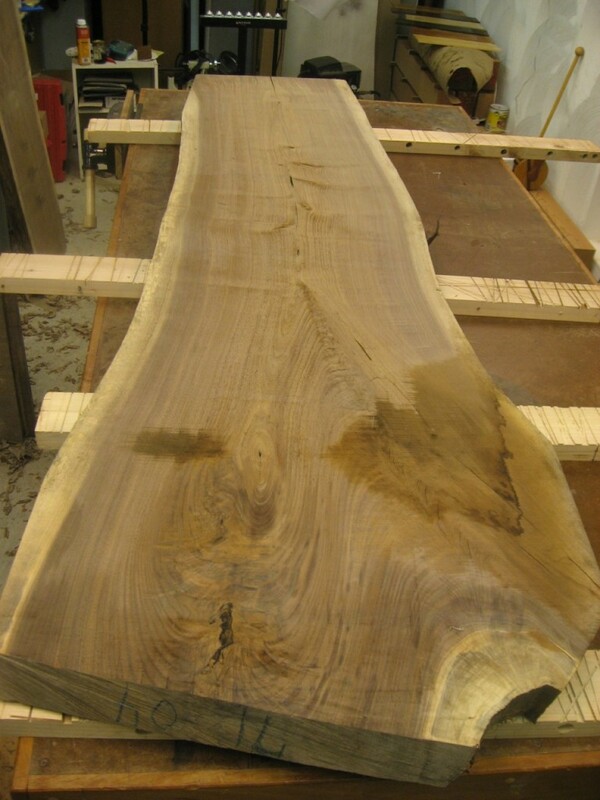 Brian (the owner) had three pieces of 20-24″ wide x 13′ long english walnut left from a flitch. It has very wavy grain, lots of cracks and knots – apparently the tree was on a hill on Concord, MA and had been struck by lightning multiple times. Very unique, making it perfect for this table – and I can get the whole top from just two boards! 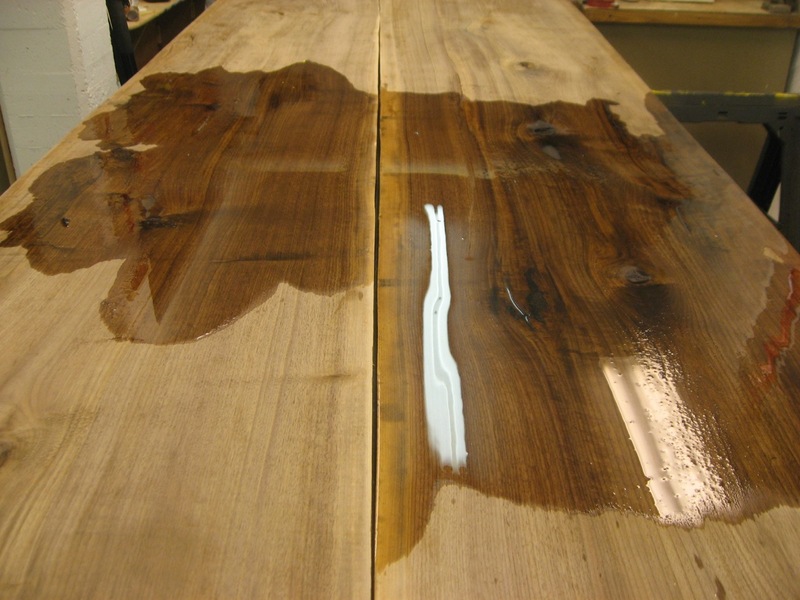 Back in my shop, I poured on some alcohol and took a picture so I could see the grain and color. Actually, we did this at the lumber yard too – make sure you know what you’re getting! 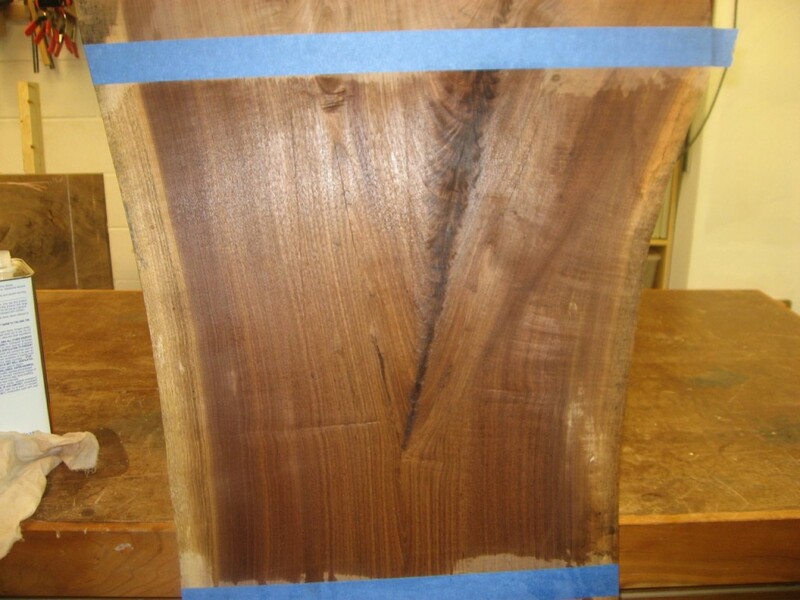 I also found some killer material for the curved legs: crotch walnut. It’s the right size and shape for my design. Even though I only needed two 8/4 sticks, I grabbed all 4 from the flitch set. And again, I wanted to check out the right section for my legs – so I taped it off and put on a little alcohol. The material is excellent – now it’s time to get to work!